Fellowship Previews: Valiant Announces IMPERIUM: PRELUDE by Joshua Dysart & Doug Braithwaite – An Exclusive Original Story Available in Valiant's February Titles! Valiant Announces IMPERIUM: PRELUDE by Joshua Dysart & Doug Braithwaite – An Exclusive Original Story Available in Valiant's February Titles! Bridging the gap between Valiant's hit series HARBINGER and Toyo Harada's rise in IMPERIUM #1, the spiritual successor to HARBINGER starts here with a fresh start for new readers in theIMPERIUM: PRELUDE! A psychic dictator, an inhuman robot, a mad scientist, a murderous alien, and a super-powered terrorist are about to try and take over the world…and you’re going to be rooting for them every step of the way. 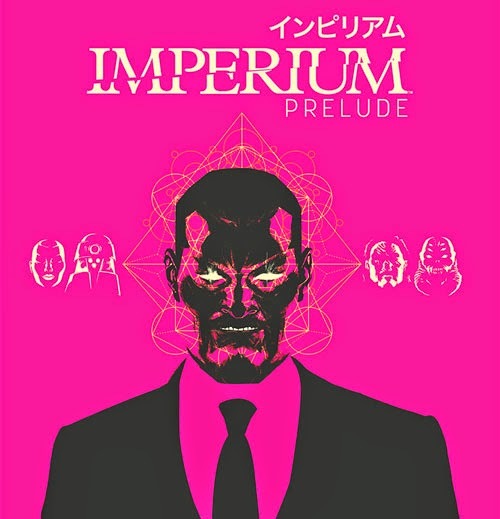 "IMPERIUM is unlike every other book Valiant has ever published before, and this exclusive prelude story is a great chance to find out why," said Valiant CEO & Chief Creative Officer Dinesh Shamdasani. "Joshua and Doug are doing phenomenal work, and, together, they are about to unleash a politically charged series with global stakes and what are sure to be some of the most compelling characters anywhere in comics today." Look for the IMPERIUM: PRELUDE in each of Valiant's February titles – except the prestige format releases DIVINITY #1 (of 4) and THE VALIANT #3 (of 4)! Toyo Harada is the most dangerous human being on the planet. Imbued with incredible powers of the mind, he has spent his life guiding humanity from the shadows. But today he is a wanted man. His powers are public knowledge, his allies have turned to enemies, and he is hunted by every government on the planet. Instead of surrendering, Harada has one last unthinkable gambit to play: to achieve more, faster, and with less, he will build a coalition of the powerful, the unscrupulous and the insane. No longer content to demand a better future, he will recruit a violent legion from the darkest corners of the Earth to fight for it. The battle for utopia begins on February 4th, only in IMPERIUM #1 – the FIRST ISSUE of the newVALIANT NEXT ongoing series from New York Times best-selling writer Joshua Dysart (HARBINGER WARS, Unknown Soldier) and superstar artist Doug Braithwaite (UNITY)!